Finding a child therapist can be unnerving. You only want the best - and that's Steven Sussman. 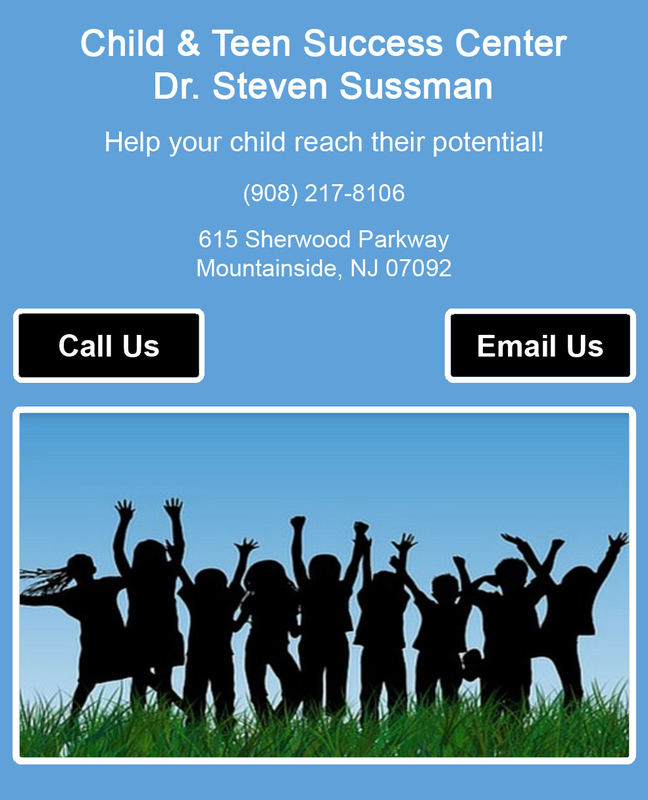 Dr. Sussman provides evidence based treatment for children and genuinely cares about helping your child or teen succeed. Read testimonials on how Dr. Sussman "helped my child", "helped my family", and how Dr. Sussman helped "shape my child's future". Dr. Sussman's greatest reward is seeing your child succeed and become the best version of him or herself. Call today for more information and to schedule a consultation. Dr. Sussman provides evidence based treatment for children. Dial (908) 217-8106 for finding a child therapist you can trust. Read testimonials on how Dr. Sussman "helped my child", "helped my family", "and helped my child's future".